Delightful Dots! 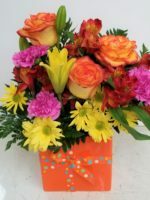 The perfect floral arrangement to make someone happy! 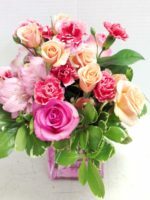 Dots in pastel colors of pink, green, yellow and lavender are painted on a ceramic cube, and then we will the cube with fresh flowers of the season, such as alstroemeria, carnations, daisies, montecasino and a rose! 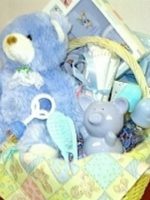 Certain to bring cheer to a hospital room or rehab facility, this is a great design for a new baby (just tell us if it’s a boy or a girl). 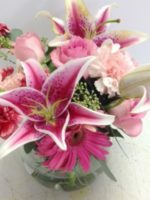 Looking to welcome spring or summer? 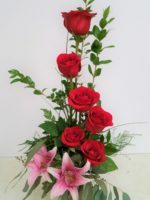 This is a terrific arrangement for mom or the mother of your children! 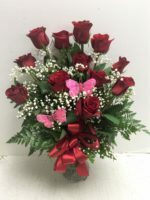 It’s great for a child in the hospital or a new home or office. 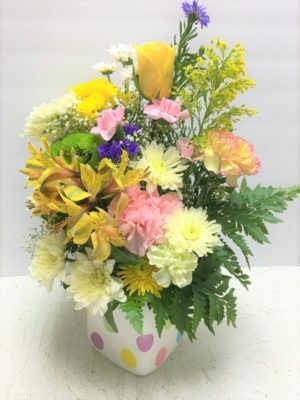 This arrangement is perfect for spring or Easter, too! 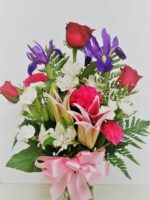 Other spring arrangement include Spring Tulips, Thinking of You with Spring and Lotsa Spring. 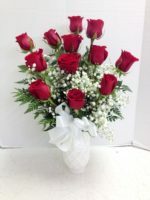 Although the flowers may vary, the sentiment will not!